This breathtaking necklace, meticulously hand-beaded, is made of vintage glass beads, navy silk and brass chain. Designed by Marie Laure Chamorel and handmade in Paris, this piece is perfectly on trend for spring. 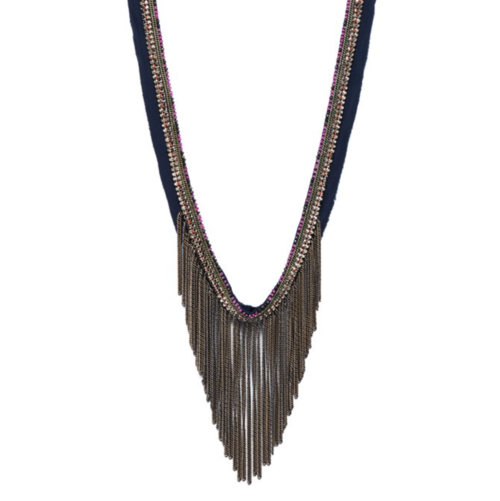 Worn with a simple blouse or your favorite little black dress, the Navy Fringe Necklace is pure drama, and perfect for any occasion.